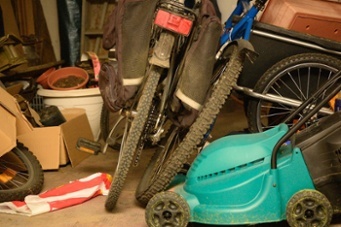 The garage shouldn’t be a space where junk is left to accumulate and be forgotten. Plus, having junk in the way of parking your valuable car doesn't make much sense. Besides parking you car inside the space can be used as a wood shop, somewhere to do work on your bike or car. With so much potential, there’s no reason why you shouldn’t make cleaning out the garage your next home improvement project. But if you haven’t been tending to your garage on a regular basis, you could be in for a big job. It’s not easy to get rid of all the years’ worth of stuff that have been accumulating in there. Fortunately, this blog is here to help. So you want to make cleaning out the garage a success, follow these 5 steps. This is the first step in your cleaning out the garage action plan. You need to understand just what you have put away so you know what you are up against. Then, you should begin piling together all of your different possessions according to category. This will make things easier later on. You need to decide what in your garage can be kept and disposed of. Maybe you have some old bicycles that you no longer use, a set of old tools collecting dust or sports equipment that haven’t been touched since the kid left home. This is the perfect opportunity to decide what you need going forward. Remember, not everything needs to be thrown away. However, if you have a lot of junk that just can’t be recycled or reused, a dumpster from Bin There Dump That is the perfect option. One of the best ways to make the most of precious space in your garage and get organized is to think vertically. Shelves and hooks provide extra space and are a great way of organizing the many things you have lying around. Basically free up the floor space. Lots of things in your garage don’t have to be destined for a landfill. It just takes a bit of work to find them a new home, like hosting a garage sale or you could even sell some of your metal items to a local scrap metal dealer. 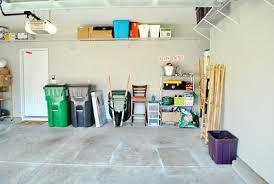 In a few months’ time, it might be near impossible to find what you are looking for in your newly organized garage. So you need make sure you label all your containers, drawers and more so you know where everything is later. Enjoy your new and improved garage and remember: a dumpster is the perfect way to get rid of all your garbage from any home improvement project. Contact us today Visit our website.